For 19 years - between 1987’s Superman IV: The Quest For Peace and 2006’s Superman Returns - there were no big screen Superman movies. Though it certainly wasn’t for lack of trying on the part of Warner Brothers, DC Comics, and various producers and directors. A documentary last year, The Death of "Superman Lives": What Happened?, told the story of the most famous failed Superman attempt, the one in which Nicolas Cage was supposed to play the Last Son of Krypton for director Tim Burton. But in the early 2000s, there were other runs at Superman movies from directors Wolfgang Peterson, McG, and Brett Ratner, with numerous actors considered for the part at various times. 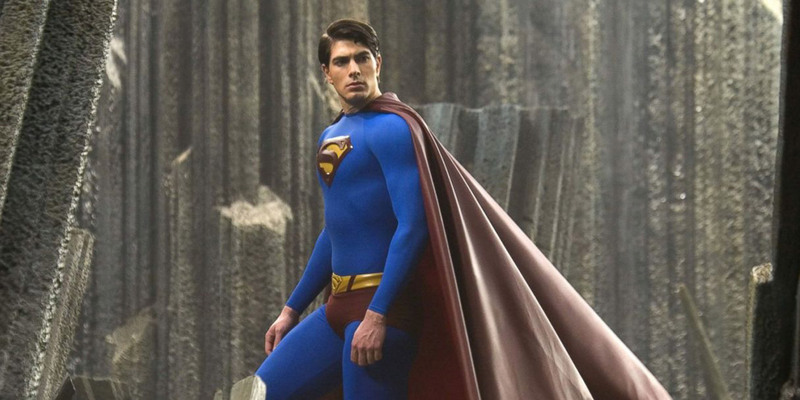 When a new Superman movie was finally made, Superman Returns by director Bryan Singer in 2006, Superman was ultimately played by Brandon Routh, a young actor pulled from obscurity who, after the film underwhelmed, soon found himself back where he came from. But, it turns out a bigger name almost played the part. Jude Law, in an appearance on The Late Show With Stephen Colbert (above), told the story of the time when he was offered the chance to play Superman, during the process of the mid-2000s reboot, and why he ultimately rejected the project. Would the Superman franchise have gone in a different, more successful direction - such as one with sequels - had Law played the part instead of Routh? That’s certainly possible since this was the period when Law was starring in 5 or 6 movies a year, was at peak movie stardom, and was certainly a stronger box office draw at the time than Routh. And as Law said in the Colbert interview, Kevin Spacey was attached to play Lex Luthor, as he ultimately did in Superman Returns, as far back as then. Then again, considering how poorly received Ratner’s X-Men movie was compared to the ones directed by Singer, it’s hard to imagine his Superman movie turning out better than Singer’s. Plus, who knows how well the movie would have gone with a leading man whose heart wasn’t in it. Now we're on to the next cycle of DC movies. Suicide Squad will arrive on August 5, 2016, followed by Wonder Woman on June 2, 2017; Justice League Part One on November 17, 2017; The Flash on March 16, 2018; Aquaman on July 27, 2018; an untitled DC Film on October 5, 2018; Shazam on April 5, 2019; Justice League Part Two on June 14, 2019; an untitled DC film on November 1, 2019; Cyborg on April 3, 2020; and Green Lantern Corps on July 24, 2020.